Her Majesty The Queen will present Jenella Edwards from Grenada with a Queen’s Young Leaders Award at a special ceremony at Buckingham Palace, London, on Tuesday, 26 June. The awards recognise the work that young people from across the Commonwealth are doing to transform lives in their community and beyond. Edwards from Sauteurs, Grenada will receive a Queen’s Young Leaders Award for the work she is doing to help young people achieve their full potential in education in Granada. Edwards was selected following a competitive process involving thousands of applicants across the Commonwealth. Together they join a network of 240 powerful young leaders, from 53 Commonwealth countries, who are driving change to make the world a better place. Later this month, during their time in the UK, Edwards will visit 10 Downing Street, take part in masterclasses at the BBC World Service and the UK Headquarters of Facebook. Award winners will then meet with the Commonwealth Secretary-General and High Commissioners from across the Commonwealth, before receiving their award from Her Majesty The Queen at Buckingham Palace. They will also attend workshops at the University of Cambridge and visit projects that are changing the lives of vulnerable people in the UK. The Queen Elizabeth Diamond Jubilee Trust, in partnership with Comic Relief, The Royal Commonwealth Society and the University of Cambridge’s Institute for Continuing Education, established The Queen’s Young Leaders programme in honour of Her Majesty The Queen’s 60 years of service to the Commonwealth at the time of her Diamond Jubilee. Guided by the values of the Commonwealth Charter, the goal of the four-year programme is to enable young people to step up as leaders and improve the lives of people across the Commonwealth. 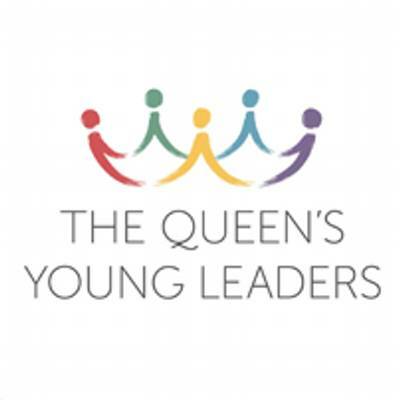 Each year from 2015 to 2018, exceptional young people have been selected to receive a Queen’s Young Leaders Award and become ‘Queen’s Young Leaders’. This year’s Award winners are aged between 18 and 29 from across the Commonwealth. They are undertaking work to improve lives of people across a diverse range of issues, from supporting people living with mental health problems, helping children to receive a quality education, to promoting gender equality. As part of the award, winners receive bespoke training, mentoring and networking opportunities, provided by the University of Cambridge’s Institute of Continuing Education. Award winners will attend a Residential Programme in the UK in June, when they will receive their Award at Buckingham Palace from Her Majesty The Queen. All nominees will need to be supported by a suitable referee.